The Next Steps Team are committed to bringing about change in schools’ understanding and expectations of Aboriginal and Torres Strait Islander students. There is a strong focus on building genuine school-community partnership agreements and the longevity and sustainability of projects within schools beyond the life of the Initiative. As an Aboriginal man and Elder Mark knows that Indigenous communities across Australia are passionate and willing to engage with schools to deliver improved outcomes for our students. Mark has had extensive experience in schools as a teacher, Head of Department, Deputy Principal and Principal which has given him a great appreciation of the complexities of schools and the challenges confronting school leaders. Mark is a former member of the Sunshine Coast Regional Indigenous Education Reference Group; Chair of Nambour South’s Mathematics and Numeracy Leadership Group. He is an Executive of both the Pamanyugan Elders Alliance and Deadlee Maardars Men’s group. 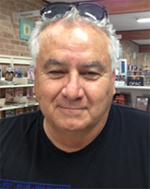 Mark has been active in Indigenous Education at a National, State, Regional and School level. At the national level he has presented to a national audience in Sydney at IQPC’S – Indigenous Employment, Education & Training: Engaging Communities for Future Success. His topic was “Improving Enrolment and Retention in Education”. At a State level, on behalf of Education Queensland, Mark outlined the successful strategies that he used in the “Talobilla Program” to dramatically improve the literacy and numeracy results; attendance; retention and the completion of Certificate III qualifications, to senior Indigenous education leaders from all states and territories. At a Regional level, Mark provided guidance in ensuring the strategic alignment, accountability and compliance of the Indigenous Educational Plan with Education Queensland policies, procedures and legislative requirements. At a School level he developed programs to assist students in meeting the “Closing the Gap” targets. In his school Mark had the responsibility to ensure that the school developed an atmosphere where the whole school embraced a culture of continuous improvement in regards to Indigenous education. Mark is currently on secondment to QUT as the Next Steps Initiative Project Co-ordinator. Mark hopes to draw upon the shared knowledge of schools and communities, as well as, to share his experiences. 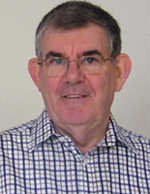 Graham originally trained as a Primary School teacher and over a 20 year period taught at all grade levels, was a Principal of 3 schools, a Physical Education Consultant and Consultant to the Rural Schools in East Gippsland in Victoria. 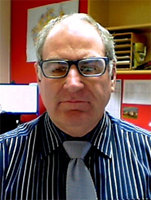 He taught for four years in the Catholic education system and returned to university in 1998 to complete a Graduate Diploma in Computing. In 2000, Graham accepted the role of Campus Principal at Bairnsdale Secondary College in East Gippsland and remained in this role for 12 years. The College is the largest provider of Secondary Education for Indigenous students in Victoria. In 2000, very few Indigenous students at the College accessed education beyond Year 8. Since 2010, Indigenous students have been successfully completing Years 9 and 10 and there is very high retention through to Years 11 and 12. In 2008 he completed the National Stronger Smarter Institute Leadership program and in January 2012, the Stronger Smarter Institute Facilitator program. In 2011 Graham was awarded the Australian Government Minister’s Award for Excellence in Teaching or Leadership in Aboriginal and Torres Strait Islander Education from the Australian Institute of Teaching and School Leadership. Graham is driven by a passion to see Indigenous students gain the same educational outcomes as their non-Indigenous counterparts and he hopes that through being part of the Next Steps Initiative he will be able to support other schools and influence the rate of positive change within Indigenous education. Graham is a firm believer in positive relationships with students and families, community voice, quality teaching and high expectations being at the foundation of educational success and the responsibility of educators to believe that there is no option for these students except success. Increasing Aboriginal parent participation through inclusive programs. These were characterised by regular interaction and included information sharing morning teas, invitations to participate in classrooms as both ‘helpers’ and often as ‘team teachers’ – developing cultural understandings for both students and teachers. Improving student attendance and participation by tailoring programs to student needs and cultural background. The above programs of inclusion developed parent participation in enhancing student attendance. Other programs included the wiring of teachers to provide surround sound in classrooms to combat issues with ‘glue ear’ and the use of Aboriginal artefacts as concrete learning materials. These programs lead to improved student performance on the then Basic Skills or both Year 3 and Year 5 students in 1997 and again in 1998. The redeveloped Aboriginal Studies program saw significant improvement and in 1997 there were outstanding results with very high performance. Ray was also Principal of Copacabana (450 students) and Killarney Vale (600 students) Public Schools which both had a significant Aboriginal student population. He has had a long association with working with all forms of technology in both classroom and administrative practice. In addition to 17 years of Principalship and the associated history of staff development Ray has a Bachelor of Education: Administrative Leadership. Terry is a highly sought after facilitator and consultant with extensive experience in The Leader in Me and The Seven Habits of Highly Effective People. As the Principal Terry started the implementation of these programmes into Currambine Primary School in Western Australia in 2010. The programme has gone from strength to strength within the school and the wider community. At the end of 2012 Terry retired from the Education Department after 40 years serving as a Principal for 38 years of that time. Terry’s career has taken him to every part of Western Australia and has afforded him the opportunity to work in all size primary schools, tertiary education and at a District and Regional Level. 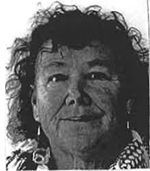 Terry has also been a very active member of the Western Australian Primary Principals’ Association and served as a Board Member for over 10 years. In 2009 he worked for WAPPA as their Professional Learning Manger and helped establish a Professional Learning Arm for the Association. Terry is very passionate about developing leadership within our students from the inside out. This passion is carried over to the consultancy work that he now carries out with in the education community within Australia. 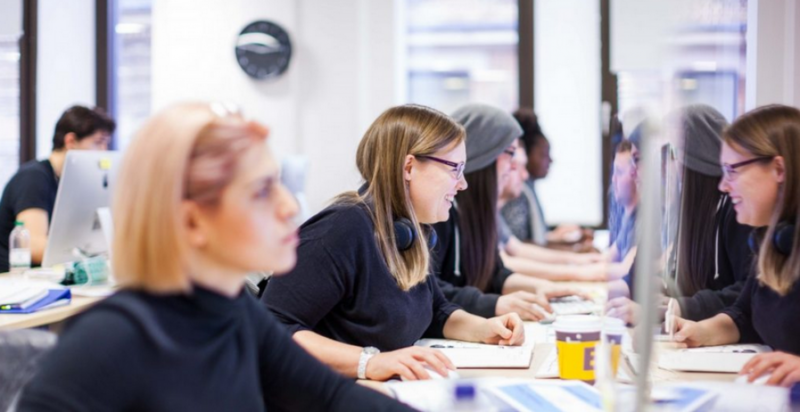 He is also an experienced mentor and qualified GROWTH Coach and worked with a number of school and industry based people in this area. Apart from his consultancy work Terry is also very interested in sports. He is a life member of the Bibbulmum Track Foundation and is an experienced and dedicated long distance trekker. Since retiring he has also taken up mountain bike riding and has his eye set on the newly opened Munda Biddi Trail. When he isn’t following these interests he can be found in his shed working with wood. 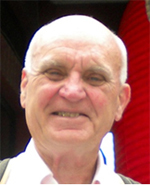 In 2003 Graeme retired from the NSW Department of Education after more than forty years, teaching in a number of country school throughout the state. During these years Graeme was Principal at four very diverse schools, finally leaving the idyllic beachside Forster Public School where he spent eleven years. He remained actively involved with Principals’ Councils from 1983 until his retirement. Since then Graeme has undertaken a variety of consulting roles, assisting schools in evaluating programs, investigating formal complaints and mediating industrial issues. In 2010 Graeme moved to the Central Coast following his wife’s appointment as principal of Umina Beach. As many teachers do, Graeme has had significant community involvement including the Chair of the local Chamber of Commerce, Chairman of the Lower North Coast Health Service and serving on the Great Lakes Economic Development Board and YMCA Board. In his spare time Graeme has tried to squeeze in a little golf, fishing and regular overseas trips. Rod Little is from the Amangu and Wajuk peoples of Geraldton and Perth areas of WA but is a long time resident of Canberra. He has a long employment history in Aboriginal and Torres Strait Islander affairs holding senior leadership positions across several social policy areas in the Australian Public Service for 15 years. He’s a Director with the National Congress of Australia First Peoples, the Chairperson of the ACT Aboriginal and Torres Strait Islander Elected Body, a board member of the Winnunga Aboriginal Medical Services and a member of Aboriginal and Torres Strait Islander Mental Health and Suicide Prevention Advisory Group. Rod is passionate about working with communities and families, and others to improve Aboriginal and Torres Strait Islander student education outcomes; and growing culturally stronger and healthier families. Janine has recently retired from the Western Australian Department of Education after nearly forty years of service. She held many different roles as teacher, Deputy Principal, Principal, District Curriculum Consultant, District Director, Director Schools Review and finally Assistant Executive Director, Aboriginal Education Innovation. Janine now works as a private consultant, focusing on assisting schools and other organisations to become more effective through collaborative and empowering change processes. Janine also runs a beef and olive farm with her husband in the small town of Balingup in the south west of WA. 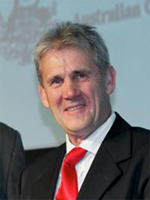 Brian served as a primary school principal for 23 years during which he held several senior executive positions including General Secretary and Deputy President on the NSW Primary Principals’ Association for over 10 years. Following his time as principal he was appointed to the position of Assistant Director Curriculum K-12 for 6 years. In this role he was responsible for the implementation and management of a wide range of strategic change agendas for the NSW Department of Education and served on three Ministerial enquiries. During this period Brian managed the Aboriginal Programs Team and held the position of Executive Officer for the Aboriginal Curriculum Consortium Implementation Committee. Currently he is the Executive Officer for Institute of Senior Education Administrators NSW and represents this group on many boards and Government committees including the Department of Education and Communities steering committee for Local Schools, Local Decisions. He also serves as a Trustee, by Ministerial appointment, of the Bidjigal Reserve Trust Board, that manages 200 hectares of urban Bushland on behalf of the local indigenous persons. He was recently awarded a Fellowship of the Australian Council of Educational Leaders in recognition of my contribution to public education in NSW. 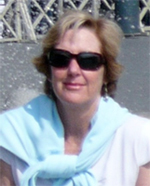 Lisa has worked for the Department of Education and Child Development (DECD) for over 30 years. Her entire teaching career has been working in disadvantaged schools in the education system. Lisa’s most recent roles have been as Principal of Ernabella Anangu School on the APY Lands in Far West South Australia for 3 years and as a Leadership Consultant for HR and Workforce Development. Both of these roles have given Lisa the opportunity to support and mentor teachers and principals. She has taken 2013 off to continue her studies in developing middle management leadership in schools and to support Anangu families who have moved to Adelaide. Having had over 20 years of experience working with Aboriginal students, families, teachers and schools in SA Lisa is delighted to have this opportunity to continue the conversations of how to improve learning outcomes for our Aboriginal students. Lisa has been married for 35 years, has two twenty something children and loves to travel, cook and spend time with friends and family. Lisa sees every new opportunity as a door opening to do something worthy and well. Greg has been the principal of a diverse range of primary schools in rural and urban NSW communities. These include Goodooga, Toomelah and Boggabilla in the northwest region and Northlakes Public School on the NSW Central Coast. He has been a pro-active Action Area Contact on the Central Coast in the Australian Government’s Dare to Lead program. His interests in Aboriginal Education focus on effective literacy strategies, engagement of and partnership with families and community and supporting community development. The leadership of his schools has been characterised by a wide range of school and community based innovative quality education programs. These include supported flexible learning project, supporting rural senior high school students, Scaffolded Literacy in partnership with local schools and University of Canberra and community based early childhood and employment strategies. Since retiring from school leadership he has been working with NGOs on the Central Coast primarily supporting implementation of the Australian Government’s Communities for Children project. Steve was first appointed as Principal at Boggabilla in 1981, and his last appointment was to Crawford PS at Doonside in Western Sydney. Steve was elected as Co-ordinator of the NSW Primary Principals Reference Group in Aboriginal Education and Equity Programs from 1996 to 2004. In 2000 and 2001 Steve was fortunate enough to be part of the review into Aboriginal Education in NSW. 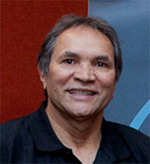 In 2006 and 2007, he was invited to be the Principal Liaison officer for the Schools In Partnership initiative with the DEC.
Steve retired in 2007 and started work on a part time basis with Dare To Lead as a snapshot consultant for the Federal Government working with Principals to improve educational outcomes for Aboriginal students. 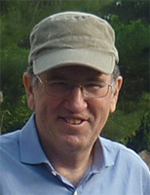 In 2008, he was invited to work as a consultant with the International unit of the NSW Department of Education in Abu Dhabi. Steve was part of a team of Retired Principals who provided advice to the Education department of that country, in regard to Professional Learning and Principal efficiency. In January 2013, he was appointed as Relieving Executive Principal at Boggabilla Central School for nine months. 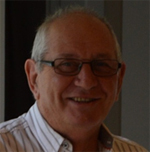 John retired after 41 years working for the NSW DET in various teaching and leadership roles, serving in 12 schools across seven NSW regions and teacher exchange in UK. Postings included large city and regional schools as well as remote rural areas. As principal of three primary and central schools in Western and North Coast Regions of NSW, John worked with Aboriginal students and local parents and community groups. Wider educational leadership roles included Director of Schools in NSW Western and North Coast Regions with supervision, management and leadership of local schools and regional management of Environmental, Aboriginal and Vocational Education Programs. Mentoring and supporting Ballina Schools in the management and implementation of the Kids Excel Program. Reviewing and reporting upon student academic performance in a number of North Coast primary schools. Reviewing enrolment patterns and performance of HSC students across North Coast Region high schools. Mentoring and supporting school executive and staff with change management strategies, planning processes, school development and staff role clarification. 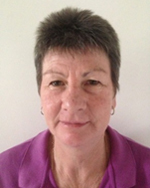 Sally has lived in the Northern Territory, and worked in the public education domain for all of her professional life. Most recently, Sally was Principal of a mid-sized urban primary school, with a large percentage of migrant students, and 50% Indigenous Students, and is currently on leave from this role. Her wide range of experience in schools includes teaching in primary, secondary and adult contexts, and in both urban and remote communities. Sally is passionate about leading schools to make a difference in ensuring that students attain the best educational outcomes possible. Sally is married and has three adult daughters.